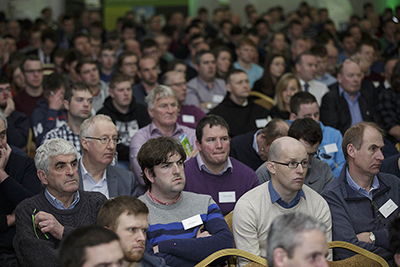 Efficiency first and expansion second was the message delivered to the 650-strong audience at the Irish Grasslands Association annual dairy conference. 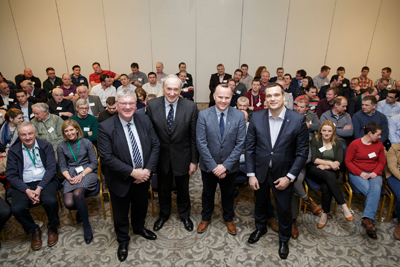 The conference took place on Wednesday 17th January at the Charleville Park Hotel, Co Cork. 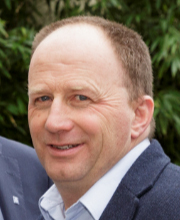 Milking 160 cows producing 480 kilos of milk solids in 2017, David Kerr who farms near Ballyfin, Co. Laois said that the Irish dairy industry is at a tipping point. ’Some farmers could do with a few less cows. 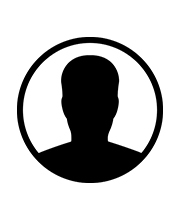 The biggest challenge to your profitability isn’t the world market, it’s yourself’, he advised. 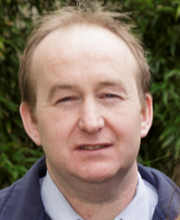 Farm manager, Kevin Ahern, described managing the 230-cow Shinagh dairy farm owned by the four west Cork dairy processors. ‘I can’t justify having a second full-time person on the farm. Student and relief help during the calving and breeding period is what I employ at peak times. Relief milkers are employed for the rest of the season with most of the machinery work and the heifer rearing contracted out as well’. 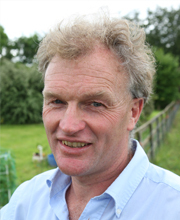 Crookstown, Co. Cork dairy farmer Michael Bateman called on dairy farmers to rise to the challenge of focusing on whole farm profitability in a post-quota era. 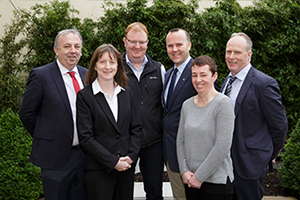 The target set is to achieve a net profit of €2,500 per hectare farmed which is achievable by focusing on adopting the latest technologies advocated by Teagasc around grassland and genetics. 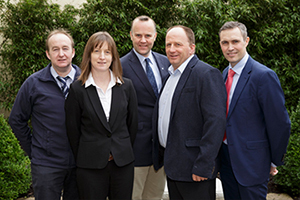 According to Moorepark’s Laurence Shalloo, ‘If farmers are serious about leasing land from others, then they have to be prepared to lease less accessible sections of land to others as well – an option that is both tax and economically efficient’. 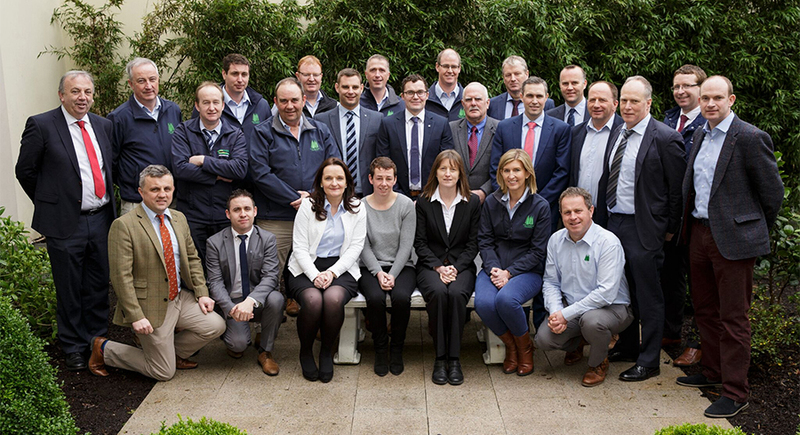 Continuing he said, ‘Improving efficiency rather than expansion is the most viable option for the majority of Irish farmers. For the most efficient, replication of their existing system rather than system change is the more profitable route to take’. Other speakers included Teagasc labour expert Pat Clarke. 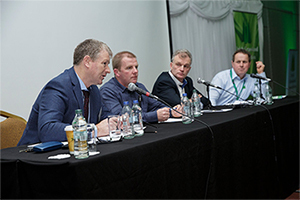 Dr. Pat Dillon, Teagasc Moorepark and Waterford dairy farmers Pat Ryan, Cappagh and Esther Walsh, Tourin Farms joined in a panel discussion chaired by Jack Kennedy, Assistant Editor of the Irish Farmers’ Journal to describe best practice in organising and managing farm labour. On the evening before the Conference (Tuesday 16th January), 100 Association members attended an event ahead of the Conference. 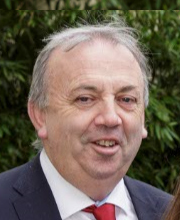 The 2018 guest speaker, Pat McDonagh, Founder and CEO, Supermacs was interviewed by former Irish Farmers’ Journal editor, Matt Dempsey. Pat described how he has grown his business to over 100 outlets, employing part- and full-time employees from 21 different countries. Echoing what was said the following day he talked about the importance of cost and labour efficiency before replicating the business at other sites. 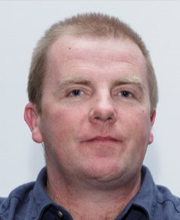 Download any of our speakers notes by clicking on their photograph.